After Sri Ramakrishna’s Mahasamadhi, Swami Vivekananda travelled throughout the length and breadth of India and came in contact with every segment of Indian society – rich and poor, educated and uneducated, strong and weak. This first-hand experience gave him an intimate knowledge and understanding of the spiritual moorings of the nation, the underlying ideals of India. In 1893, he went to USA, participated in the World Parliament of Religions held in Chicago and became a celebrity overnight. He made a triumphant return to India in 1897 after preaching Vedanta extensively in America and Europe. Soon after, he established the Ramakrishna Mission with the twin ideals of “Atmano Mokshartham Jagad hitaya cha” i.e. for the freedom of the self and for the good of the world. Shortly after Sri Ramakrishna’s Mahasamadhi in August 1886, a monastic order bearing his name was formed by his sannyasin disciples headed by Swami Vivekananda, in pursuance of Sri Ramakrishna’s instructions. The first math (monastery) at Baranagar (near Kolkata) had a very humble beginning in a small rented house. The life therein was not only austere but also full of hardships. In 1899, the Ramakrishna Math was moved to its present home at Belur, on the western bank of Ganges, about six kms. north of Kolkata. It was registered as a Trust in 1901. The Ramakrishna Mission was started by Swami Vivekananda in May 1897 and was registered in 1909 under the Societies Act XXI of 1860 (Appendix VII). To spread the idea of harmony of religions based on Sri Ramakrishna’s experience that all religions lead to the realisation of the same Reality known by different names in different religions. The Math and Mission honour and revere the founders of all world religions such as Buddha, Christ and Mohammed. 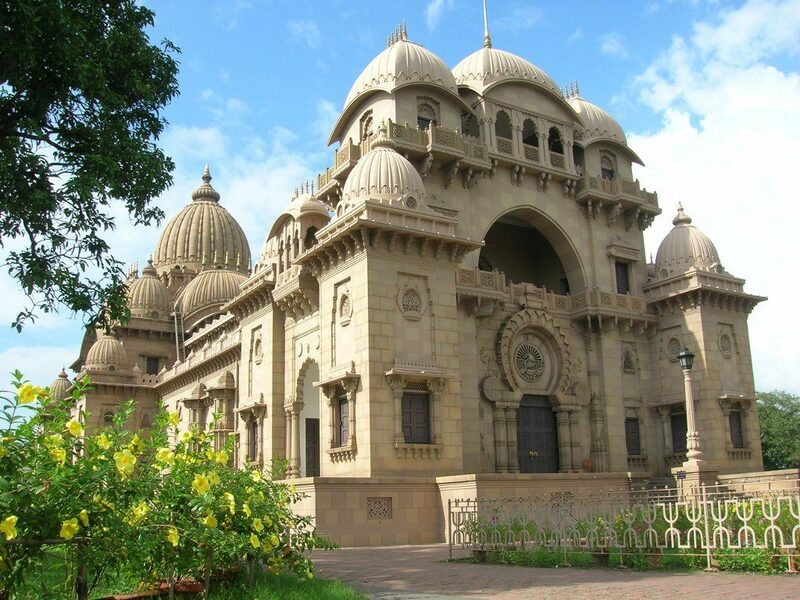 Though Ramakrishna Math and Ramakrishna Mission with their respective branches are distinct legal entities, they are closely related, in as much as the Governing Body of the Mission is made up of the Trustees of the Math. The administrative work of the Mission is mostly carried out by the monks of Ramakrishna Math, and both have their Headquarters at Belur Math. Though both the organizations undertake charitable and philanthropic activities, the former lays emphasis on the training of the monastic members and on religious preaching while the latter is devoted mainly to welfare services of various kinds actuated by a spiritual outlook. Man is to be served not only as a fellow being, but as the greatest manifestation of the Divine. 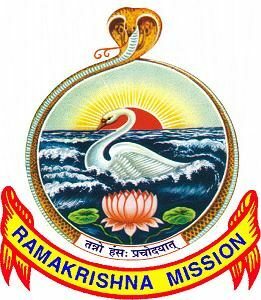 However, the name ‘Ramakrishna Mission’ is loosely associated by people with Math activities also. It is necessary, moreover, to point out that the appropriation of the name of Sri Ramakrishna or Swami Vivekananda by an institution does not necessarily imply that it is affiliated either to Ramakrishna Math or to Ramakrishna Mission which have their Headquarters at Belur Math (P.O. Belur Math, Dt. Howrah, India-711202). The Math and the Mission own separate funds and keep separate accounts. Though the Math and the Mission receive grants from the Central and State Governments and Public Bodies for their social and welfare activities, the other activities of the Math are financed from the offerings received, sale of publications, etc. and the Mission is supported by fees from students (wherever Mission centre run schools), public donations, etc. The accounts of both the Math and the Mission are annually audited by qualified auditors. Excluding the Headquarters at Belur, there are many branches of the Mission, all over India as well as internationally. Besides maintaining a number of ashrams and temples with their programmes of worship, religious services and preaching, Ramakrishna Math and the Ramakrishna Mission run several schools, colleges, libraries, students’ homes, seva-ashrams (hospitals) with indoor facilities, clinics, dispensaries, rural and tribal development centres, homes for the invalid, etc. In addition, there are many centres run by lay devotees in many States in India under different names associated with Sri Ramakrishna, Sri Sarada Devi and Swami Vivekananda, especially in those areas where Ramakrishna Math or Mission do not have any official centre. The Ramakrishna Movement has contributed largely for the uplift of the downtrodden. Its services, especially in the fields of education, health and relief work in times of distress are well-known. The common emblem of the Ramakrishna Math and Ramakrishna Mission is a symbolic representation of their ideology. It was originally drawn by Swami Vivekananda himself. The wavy waters represent Karma, the lotus represents Bhakti, the rising sun represents Jnana, the encircling serpent represents Yoga, and the Swan represents Paramatman, the Supreme Self. The idea of the emblem is that, by a synthesis of all the four Yogas, the Supreme Self is realised. The motto of the Ramakrishna Math and Ramakrishna Mission is: ātmano mokṣartham jagad hitāya cha, “For one’s own liberation, and for the welfare of the world”.